I’m in a rut. A chicken rut. We needed some type of new protein and I thought- huh, I have Broccoli, and I have Shrimp- let’s do a stir fry! 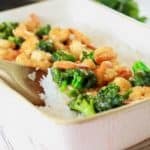 Shrimp and Broccoli Stir Fry it is, and at 236 calories per serving- why the heck not?! I started off by making my stir fry marinade- a mixture of soy sauce, rice wine vinegar, some brown sugar, fresh garlic, fresh ginger, and salt/pepper. I combined my shrimp and broccoli,and let it marinate for about 5 minutes. Be sure to scrape the sides of the bowl to get all those yummy ginger bits! 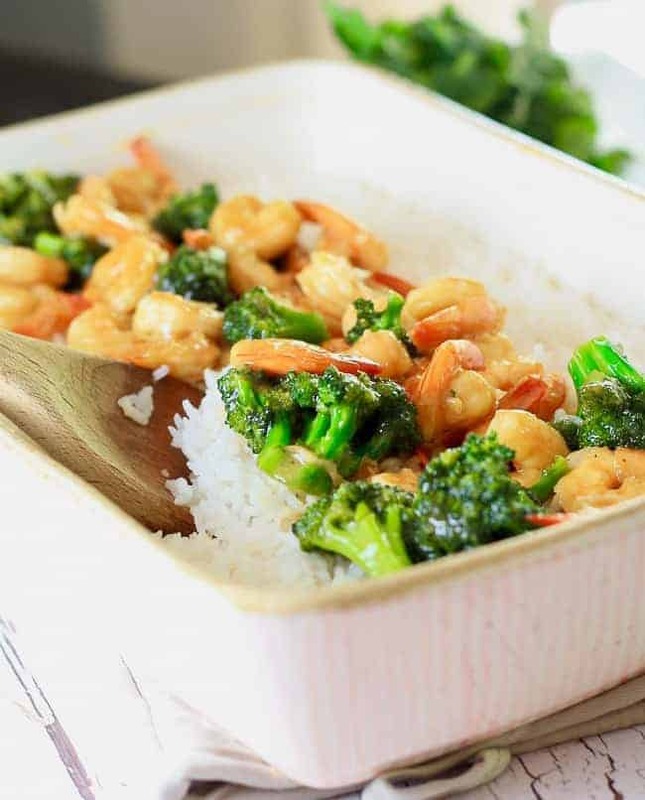 This is one SERIOUSLY FLAVORFUL Shrimp and Broccoli Stir Fry! Mix Mix Mix! 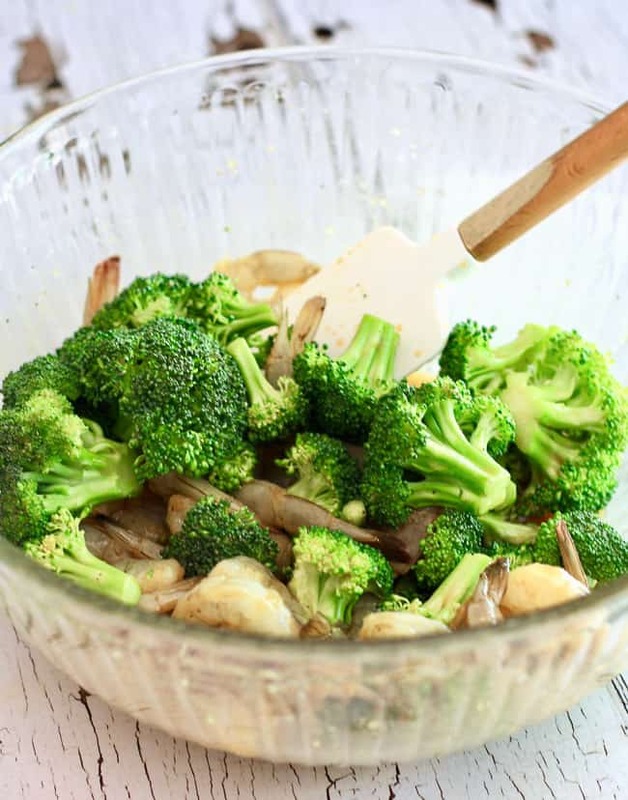 Get your broccoli super soaked with marinade for loads of flavor. 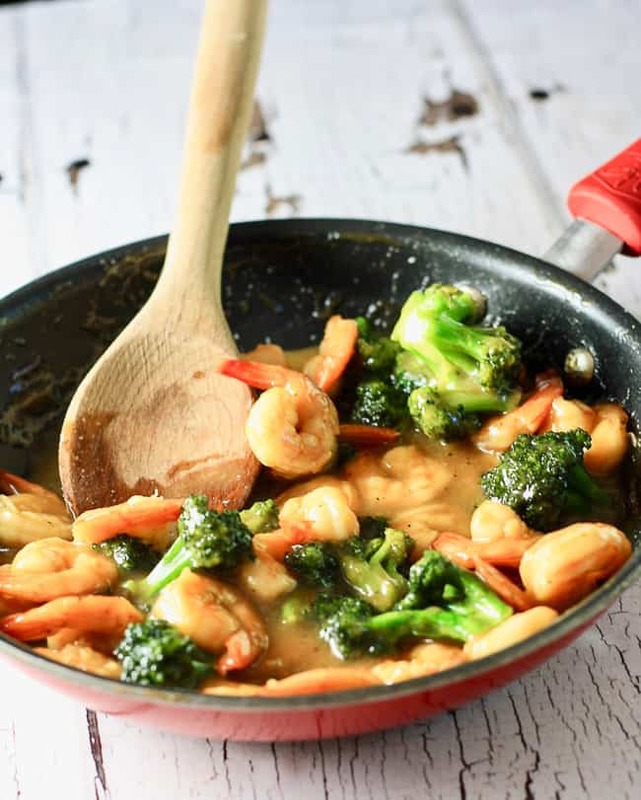 Once your shrimp and broccoli has been drenched in flavorful goodness– time to stir fry it up! 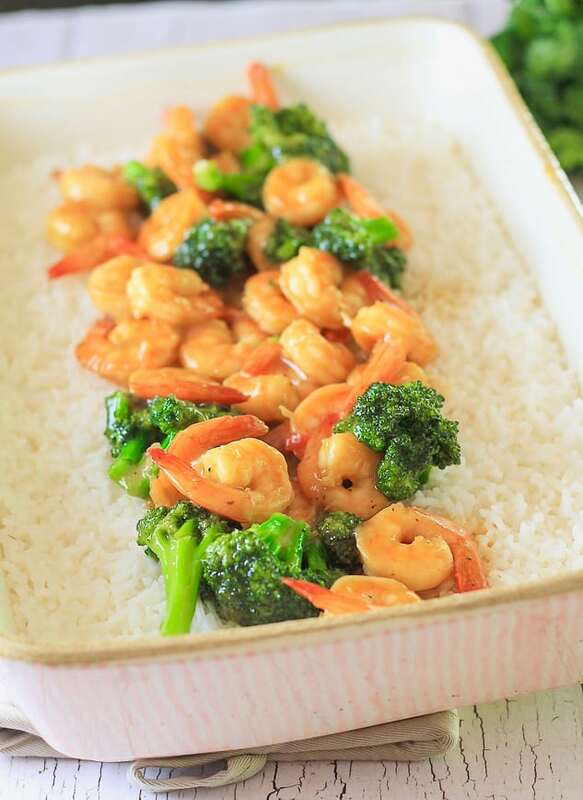 Preheat a shallow pan to medium heat, and pour your bowl of shrimp, broccoli and marinade in. Once it starts to bubble, you’ll add your cornstarch slurry (one of favorite tricks! Add 2 teaspoons of cornstarch to 2 tablespoons of water. Pour it in, and watch it thicken your sauce!). 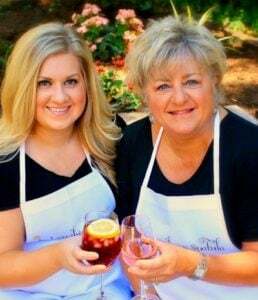 Once your sauce is sticky, it’s time to serve. I poured my shrimp and broccoli mixture over our oven baked rice (GUYS- YOU NEED OVEN BAKED RICE IN YOUR LIFE. It’s SO EASY!!!). 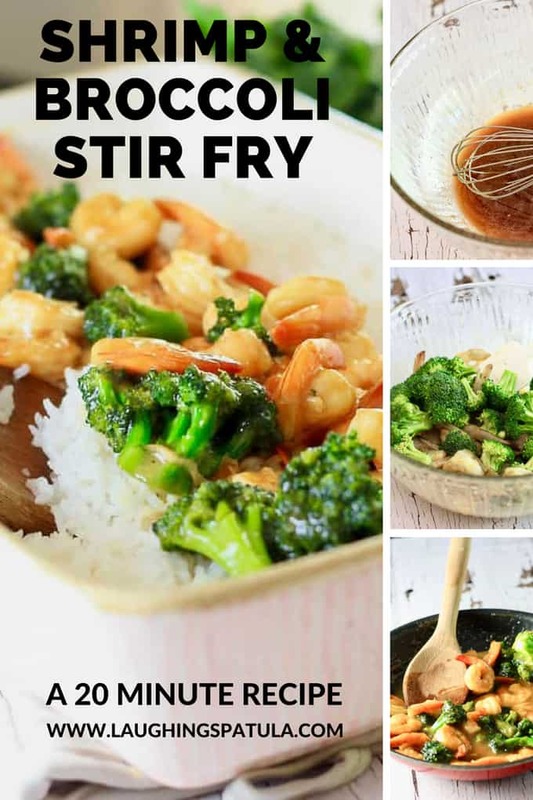 Nice thick stir fry with shrimp and broccoli- Yummy and ready to eat! AGAIN FOLKS- LOOK AT THAT OVEN BAKED RICE. JUST LOOK AT HOW PERFECT IT IS. Serve over oven baked rice- yum! If you like this easy 20 minute recipe- check out our other favorite easy weeknight meals- sheet pan fajitas, pasta with tomato cream sauce, or our one pot chili mac and cheese soup! A delicious, 20 minute meal with LOADS of flavor. From stove to table in 20 minutes, yahoo! 2 cups broccoli I buy bags of it at Costco! 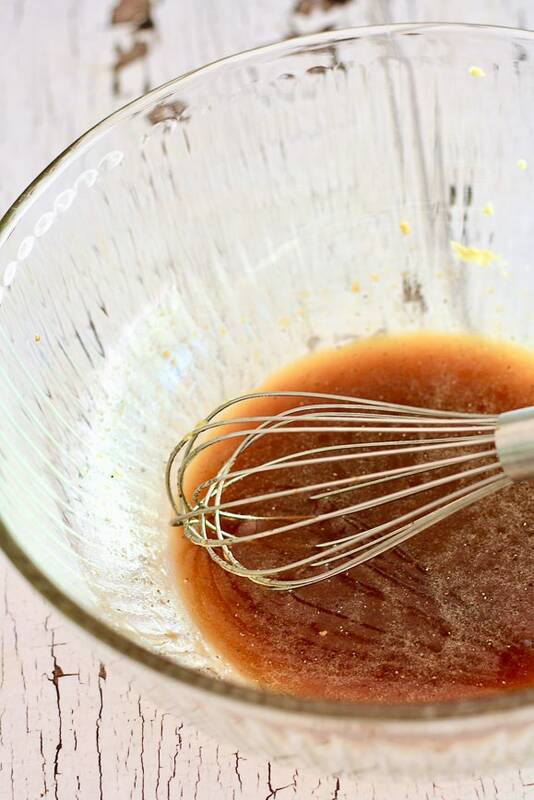 In a medium sized bowl, combine marinade ingredients defined above. Add shrimp and broccoli, making sure they are fully soaked. Let marinade for 5 minutes. Add shrimp and broccoli mixture, along with all liquid ingredients to pan on medium heat. Once bubbly and almost to a boil, mix cornstarch slurry in separate dish and add cornstarch slurry to pan. Sauce will start to thicken. Remove from heat to ensure shrimp does not become tough. Serve over oven baked rice and enjoy!